EDITOR’S NOTE: This is our running post on Aldi’s non-food Christmas products. We will update it with new products throughout the holiday season, so be sure to check back in. Read about Aldi’s Christmas food items at this link. 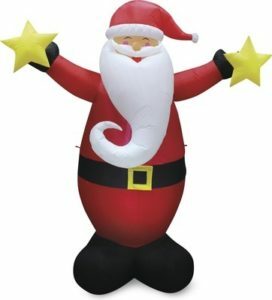 To check out Aldi’s Christmas storage offerings, click here. Before Thanksgiving arrives, Aldi starts rolling out Christmas gear. Here is a look at a few of Aldi’s holiday products. Thoughts: This comes in sizes XS (12.2″ x 9.1″), S (13.8″ x 11″), M (15″ x 13.8″) or L (16.9″ x 18.1″). Made of 100% acrylic and features a leash slit by neck area. Pull over for easy on and off access. Must be hand washed. Thoughts: Assembled playhouse measures 12″ x 20″ x 12″ and includes catnip and two 9.5″ x 11.25″ scratching pads. Choose a Gingerbread House, Christmas Cottage, or Christmas Tiki Hut. House provides a fun, small space for your cat to feel secure in. Thoughts: Elf Pajamas available in XS–Large. Reindeer Pajamas available in XS–Large. Buffalo Plaid Pajamas available in XS–Medium. Stretch to fit. Helps prevent scratching from allergies. Machine washable. Thoughts: These measure 4.13″ x 4.13″ x 1″ and come with three per pack. Choose from four themes. Each box is embellished with glitter, foil, and/or tip-ons on the lid. Thoughts: Choose traditional, Whimsical, or Blissful Cheer Packs. These packs include 1 Large Bag (12.67″ H x 9.92″ W x 5.31″D), 3 Medium Bags (6.88″ H X 8.93″ W x 3.54″ D), and 1 Bottle Bag (13.42″ H x 4.84″ W x 4.84″ D). You also can purchase a Juvenile pack that includes 1 Large Bag and 4 Medium Bags. Bags are embellished with either 100% glitter, 30% glitter, 30% foil, embossed foil, or 100% flocking and feature grommeted satin ribbon handles. Thoughts: This pack includes 3 heavyweight foil rolls that measure 75 sq. ft. Thoughts: These come in assorted designs. Thoughts: Choose Knitted or Burlap styles. Measures 28″ x 36″. Thoughts: These pair well with the Christmas cactus Aldi also sells during this time of year. Thoughts: This is available in assorted colors. Read our Ode to Aldi Houseplants at this link. Thoughts: These come in a 24-oz. bottle. Thoughts: Choose a Holiday theme or 12 Days of Christmas theme, all with different scented candles. Thoughts: This six-pack of paper towels contains 546 sheets. Thoughts: We’re not yet sure if this tree comes with ornaments. Check back later for more information. Thoughts: Assorted colors are available. Thoughts: Choose from Santa, a snowman, or a nutcracker. Thoughts: These measure 4 inches by 6 inches and come in several varieties. Thoughts: Measures 30 inches by 180 feet. Thoughts: Fits Men’s Sizes 6–12; Ladies’ Sizes 4–10. Thoughts: These come in Sizes M–XL. Choose a Moose, Elf, or Santa. Also available in matching kids’ sizes. Thoughts: We don’t have information yet on what sizes are available. Check back later for updates. Thoughts: These come in a variety of designs, and we assume these are good for indoor/outdoor use. Thoughts: Assorted varieties available. Two AA batteries included. Figures measure 11.5″ H.
Thoughts: Choose White or Multicolored lights. Comes in a Two-pack of 3′ and 4′ sizes. For indoor/outdoor use. Thoughts: This measures 12″ H and comes in assorted varieties. Candle not included. Thoughts: Includes 4″, 6″, and 8″ candle. Choose Red Ice or Gold Glitter. Batteries not included. Thoughts: A timer is included. Batteries are not included. Thoughts: Two AA batteries not included. Thoughts: Measures 5.5″–12″. Assorted styles available. Thoughts: Made of 100% Polyester. Assorted styles available. Thoughts: The tree measures 16″, and the wreath measures 16″ in diameter. Assorted colors are available. Thoughts: This is 5′ tall and comes in assorted colors. Thoughts: This plays 1 of 12 holiday songs hourly. A light sensor automatically silences music in the dark. Assorted varieties are available. Thoughts: This item will be sold in a premature state and will grow up to 16″–20′ tall. Thoughts: These are batter operated, but batteries are not included. Assorted varieties are available. Thoughts: Choose a 24-Hour Mechanical Indoor Timer, 8′ Indoor/Outdoor Multi-Outlet Cord, or 9′ Multi-Outlet Indoor Tapper Cord. Thoughts: These operate on an eight-hour timer and include two candles per package. They include 2 AA batteries and come in assorted colors. Thoughts: These are 100% cotton and are available in assorted varieties. Thoughts: Choose a snowman, Santa, or a penguin. Thoughts: A photocell automatically turns lights on at dusk to dawn; on at dusk 2, 4, 6, or 8 hours, or daily dusk to dawn option. The program repeats every 24 hours. Two heavy-duty grounded outlets are included. Thoughts: This features a 16-gauge 3-prong grounded plug. Thoughts: This projects up to 3,000 sq. ft. with 9 light modes. 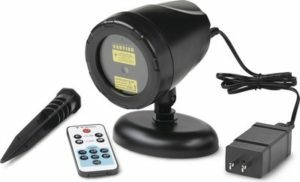 It includes a remote and timer and measures 5″ x 3.8″ x 4.7″. No tools are required for assembly. Thoughts: These white lights are for indoor or outdoor use. Thoughts: These lights are available in White or Multicolored varieties and measure 14′ long. Thoughts: These are for outdoor use only and measure 28″–36″ tall. Choose a standing buck, feeding doe, or angel. Stakes for securing are included. Thoughts: These are available in White or Multicolored varieties. They feature C9 or 5 mm bulbs and measure 63.7′ long. Thoughts: Covers a 4′ X 6′ area. Choose White or Multicolored. Thoughts: Outdoor remote socket features 13-amp, heavy-duty power load, a 6′ power cord, 12″ ground stake, 100′ range light sensing, six grounded outlets, and repeats daily. Indoor Remote System features 100′ range LED active indicator and 1 grounded outlet on each receiver; separately control 3 devices anywhere in your home with a remote control that works through walls and doors. Remote battery included. Thoughts: This measures 18″ x 30″ and is available in assorted varieties. It features a skid-resistant backing. Thoughts: These area available in assorted styles. Thoughts: Includes 2-cup, 4-cup, and 7-cup glass bowls with lids. These are dishwasher, freezer, and microwave safe. They are oven safe (glass only). Lids are BPA free. Available in snowflakes with blue lid or clear with red lid. Thoughts: Choose Hot Wheels- or American Girl-themed calendars. Each calendar has 24 windows for a daily surprise. Thoughts: These candles come in decorative jars with bubble lids. Candles are 18 oz. and come in assorted scents. Thoughts: These 10-oz. bottles of liquid hand soap come in Sugar Cookie or Winter Wonderland scents. Aldi rotates a variety of Christmas and holiday items through its stores in the November and December months, and the ones we’ve tried have been positive. We’d love to hear your thoughts in the comments. Boulder, Huntington Home, Mattel, Merry Moments, Pembrook, Radiance, Source. Bookmark. Purchased a huntington window candle ID# 54515 17. The product doesn’t light but we’re not sure which sign is off and on. There is an o and -. Which is on and off? the “-” is basically a closed circuit. The battery operated LED string lights are supposed to run 4 hours on, then turn off for 20 hours. I think they’re set to something less than a 24 hour cycle, though, because they go on earlier every day! Still, it’s a nice way to light up my old wreath! Bought the 2 pc Spiral Tree set, 3 ft & 4 ft. Well, tried to assemble them & both center metal rods are the same length. So the 3′ tree is over a foot too short stretched out ,& the 4′ tree is over a foot too long! Can’t use either one. Aldi won’t take back because I lost the receipt. Piece of junk! These on line? Let me know – thanks. Jw. You can’t order these items online. Aldi stocks a limited amount of its Special Buy items in stores, and unfortunately when they’re gone they’re gone. There’s always next holiday season, though. 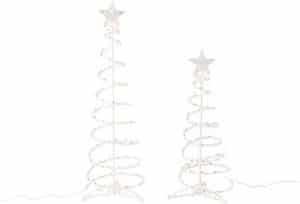 I recommend the collapsible tinsel Christmas tree. Great item! Absolutely LOVED the Winter Garland liquid soap. Next time I will buy more, to get me through the holiday season..! Smells just like ‘Christmas tree’..!! Sorry I didn’t get more, when I saw them..! The Sugar Cookie is ‘delicious’, as well..! !